The Global Volcanism Program has no activity reports for Orosí. The Global Volcanism Program has no Weekly Reports available for Orosí. The Global Volcanism Program has no Bulletin Reports available for Orosí. Orosí is one of a cluster of four eroded and vegetated cones in the Guanacaste Range at the NW corner of Costa Rica. Volcán Orosí itself has a conical shape as viewed from the north or west, but its flanks are heavily eroded. The complex includes Orosí, Orosilito, Volcán Pedregal, and Cacao. 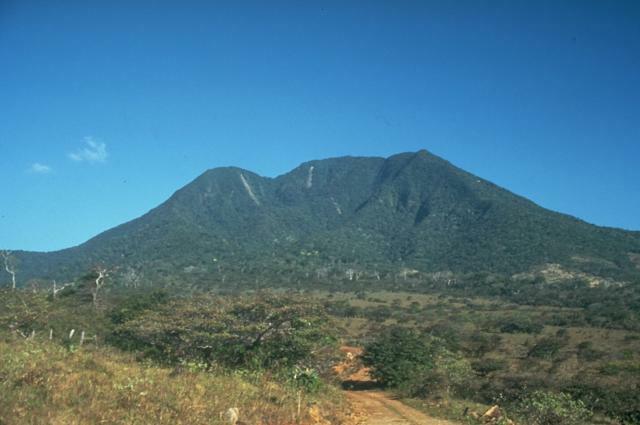 The highest peak of the volcanic complex is 1659-m-high Volcán Cacao, 5.5 km SE of Orosí. 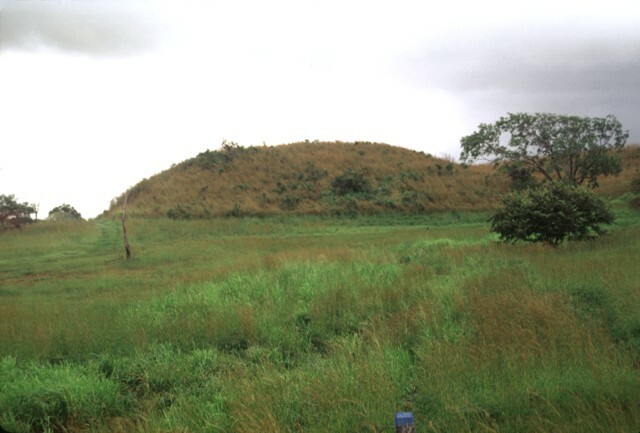 The summit of Cacao is cut by two large horseshoe-shaped calderas breached to the SW and east related to edifice collapse. The age of the latest activity of the complex is not known. Historical eruptions were reported from Orosí in 1844 and 1849, but even at the time of the first volcanological observations at the end of the 19th century, Orosí was overgrown with large trees, and the eruptions may actually have been from neighboring Rincón de la Vieja. The latest documented volcanic activity produced mudflows (perhaps secondary) about 3500 years ago. Cecchi E, van Wyk de Vries B, Lavest J-M, 2005. Flank spreading and collapse of weak-cored volcanoes. Bull Volcanol, 67: 72-91. Chiesa S, Bettoni M, Confortini F, Invernici N, Madesani R, Suardi M, 1996. Breva resena sobre la geologia de los Parques Nacionales Santa Rosa y Guanacaste. Rothschildia, 3(1): 1-5. Chiesa S, Confortini F, Madesani R, 1998. Geologia del Area de Conservacion de Guanacaste. Rothschildia, 5(2): 1-36. Kerle N, van Wyk de Vries B, 2001. The 1998 debris avalanche at Casita Volcano, Nicaragua; investigation of structural deformation as the cause of slope instability using remote sensing. J. Volcanol. Geotherm. Res., 105: 49-63. The Global Volcanism Program is not aware of any Holocene eruptions from Orosí. If this volcano has had large eruptions (VEI >= 4) prior to 10,000 years ago, information might be found on the Orosí page in the LaMEVE (Large Magnitude Explosive Volcanic Eruptions) database, a part of the Volcano Global Risk Identification and Analysis Project (VOGRIPA). There is no Deformation History data available for Orosí. There is no Emissions History data available for Orosí. 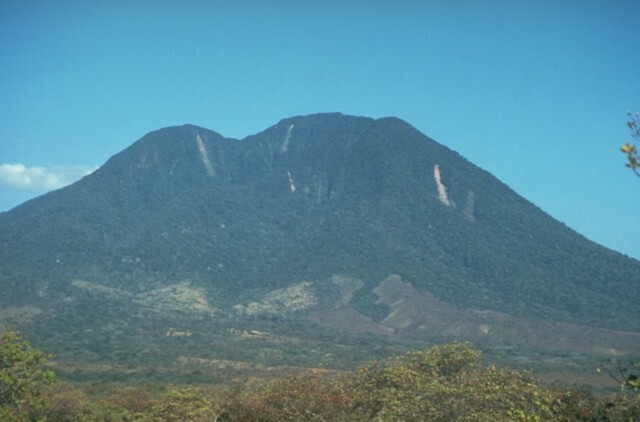 The highest peak of the Orosí volcanic complex is Volcán Cacao, which is seen in this view from the SW. The summit of Cacao, 5.5 km SE of Orosí, was breached to the SW as a result of edifice collapse. Orosí is one of a cluster of four eroded and vegetated cones in the Guanacaste Range at the NW corner of Costa Rica. Volcán Orosí itself has a conical shape as viewed from the north or west, but its flanks are heavily eroded. The age of the latest activity of the Orosí complex is not known. The SW side of Volcán Cacao, located at the SE end of the Orosí volcanic massif, is cut by an arcuate depression created during a massive slope failure in which the summit of the volcano was removed. The vertical light-colored stripes on the upper edifice are rockslide scars. The latest eruptive activity at the Orosí complex consisted of post-collapse lava domes and flows from Cerro Cacao. The Orosí volcanic complex is seen here from the north, with the summit of Orosí in the clouds at the right and Volcán Cacao, the highest peak of the complex, at the left. Orosí is one of a cluster of four eroded and vegetated cones in the eastern part of Guanacaste National Park at the NW corner of Costa Rica. Volcán Orosí itself has a conical shape as viewed from the north or west, but its flanks are heavily eroded. 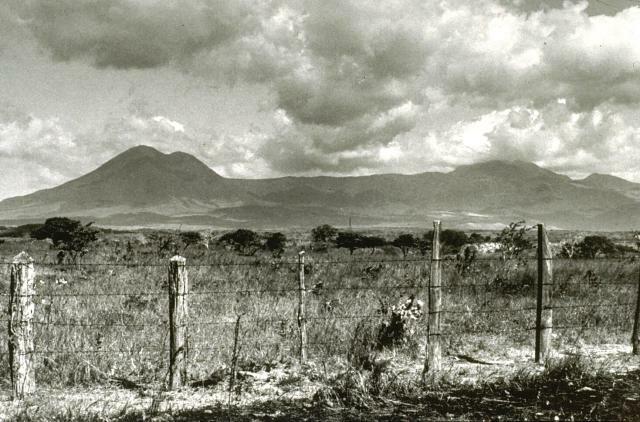 Reported eruptions of Orosí in 1844 and 1849 may actually have been from Rincón de la Vieja volcano. Photo by William Melson (Smithsonian Institution). The low hill in the background is part of a massive debris-avalanche deposit formed by collapse of Volcán Cacao (also called Cerro Cacao). The avalanche swept onto the flat-lying Pacific coastal plain as far as the Central American highway, near where this photo was taken. Large Eruptions of Orosí Information about large Quaternary eruptions (VEI >= 4) is cataloged in the Large Magnitude Explosive Volcanic Eruptions (LaMEVE) database of the Volcano Global Risk Identification and Analysis Project (VOGRIPA).